The 2018 Camp Fire was the most deadly and destructive wildfire in California's history. Raging for 17 days, it burned nearly 240 square miles in Butte County, CA, killing at least 86 people and destroying 18,804 buildings. More than 52,000 area residents had to be evacuated, and many, upon their return, found that everything they owned was gone, completely devastated by the killer blaze. In total, the Camp Fire cost an estimated $7.5-$10 billion in insured losses. Particularly hard hit were the area's small businesses. 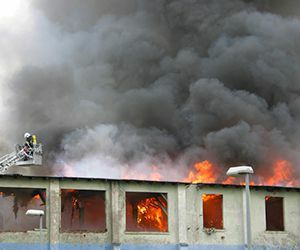 Many of them were not adequately insured to cover their inventory and equipment damage, business interruption and structure replacement costs. Among the businesses demolished by the Camp Fire were a number of grooming shops - a fact that King Wholesale, a Sutter County, CA pet supply wholesaler, quickly became aware of. 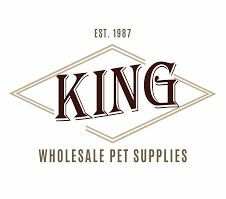 King Wholesale is a family-owned business that has served retail pet supply stores, grooming shops, animal hospitals, kennels, trainers, humane societies and other pet care professionals for more than 30 years. King's staff had been working with the Camp Fire animal rescue effort, when they saw that some groomers were in dire need of help too. As the company stated in a Facebook post, "These past couple weeks have been a nightmare many of our family, friends and customers in the county next to ours wish they could wake up from. We have been doing what we can to help the animal efforts but after finding out that some of our longtime and loyal grooming customers were affected by the fires we wanted to do something to help them." Contacting its grooming product manufacturers, King Wholesale was able to obtain donations of supplies - grooming tools, combs, brushes, pet shampoos, conditioners, sprays and more. 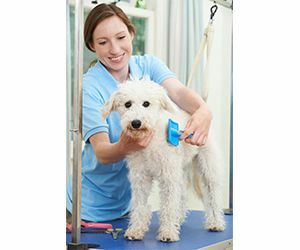 The manufacturers' donations -- along with its own donations -- were so generous that King was able to provide more than $500 in supplies to each groomer to help them get back on their feet. "We pretty much had all these commitments from the manufacturers in a matter of 24 hours of making the requests...so amazing," the company reported in a Facebook post. "Thinking and praying for those that were affected by the fires in California." 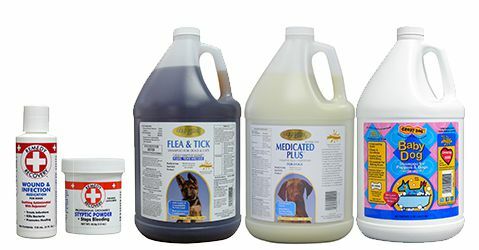 Cardinal Pet Care was thrilled to support this amazing initiative with donations of our Remedy+Recovery Styptic Powder, Remedy+Recovery Wound and Infection Medication, Gold Medal Medicated Gallon Shampoo, Gold Medal Flea & Tick Gallon Shampoo and Crazy Dog Baby Dog Gallon Shampoo. We would like to give a big shoutout to King Wholesale for their work in rebuilding the small business community ravaged by the Camp Fire, as well as to all the donating manufacturers for demonstrating how we, as industry members, can work together to help our friends and colleagues in times of crisis.